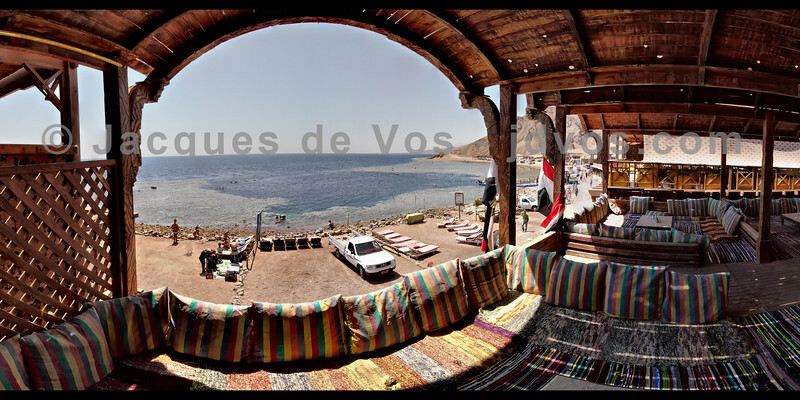 Panoramics of Dahab in South Sinai (Egypt). A cloudy night in Wady Gnai. 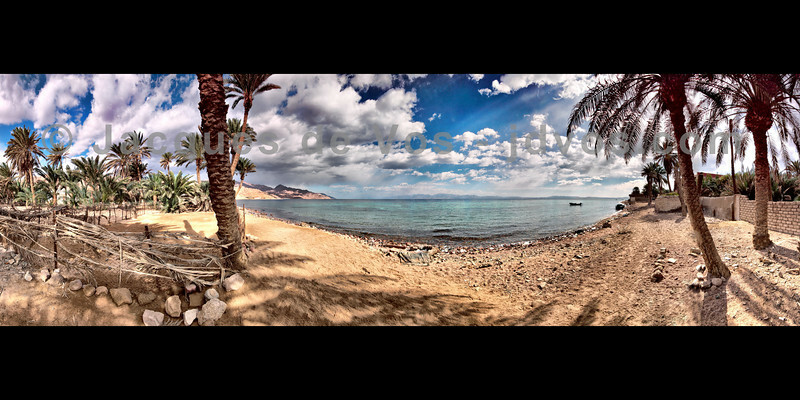 Assalah Beach - Dahab, Egypt. 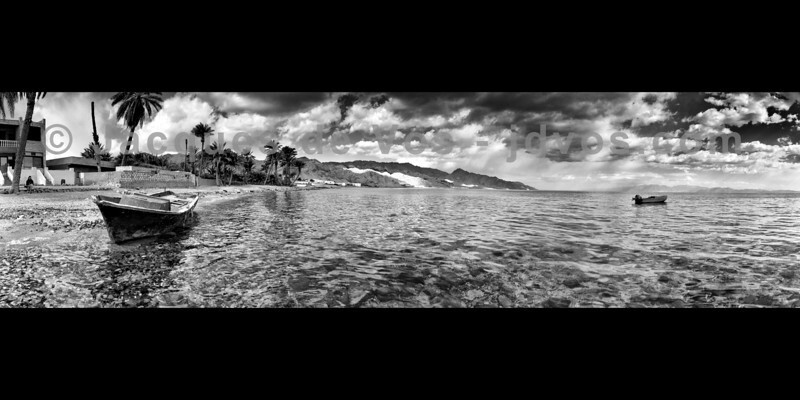 Due to the printing sizes, prints of this image includes the black border. The beautiful Oasis south of Sinai before sunset. The Lagoona tide comes in very quickly in this spot and the water creeps meters per second over these plains. The famous 'El Bells' or 'The Bells' dive site right next to the legendary Blue Hole. Lagoona is located at the southern tip of Dahab and is famous for its protected 'lagoon' which experiences frequent winds during the right season and is very popular with kite and wind surfers. The spot where this photo was taken was still fairly unpopulated a year ago, but in recent months locals have even taken 'ownership' of the beach here with makeshift restaurants and are quite bothersome to tourists who come here to enjoy a bit of silence.